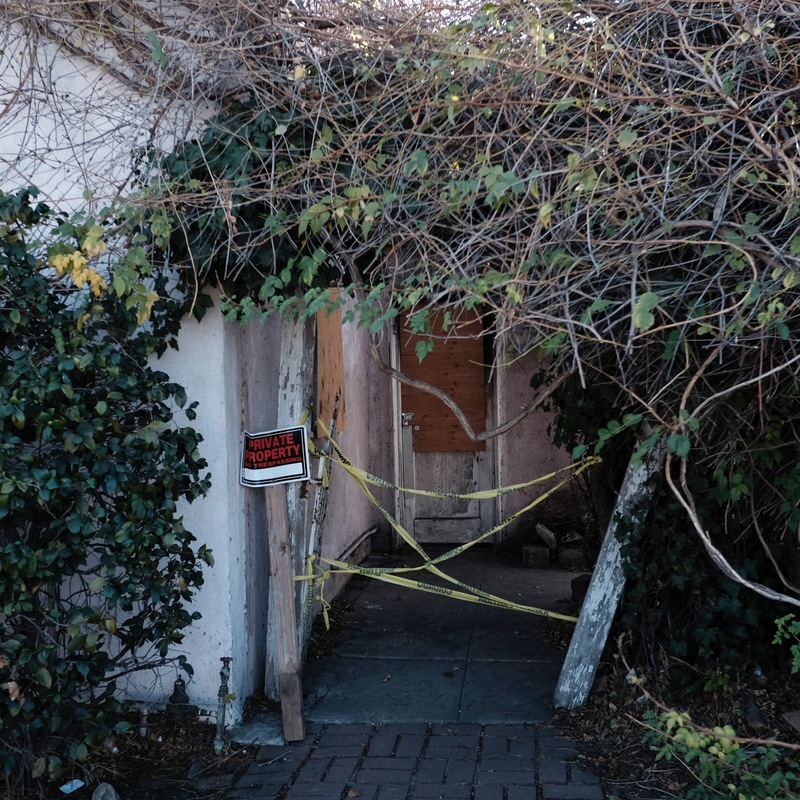 Mr. John Hendry, resident of Van Nuys and board member of the VNCC, sent me an email alerting me to the impending demolition of two old houses on Victory east of Kester. 14827—33, one a stucco house with pillars, the other a Spanish style (1936) with an arched entrance, stand on the windswept wasteland of six-lane wide Victory Boulevard. Few who speed past here, munching frosted donuts in black spandex, bother to look at the two architecturally historic properties that soon will be bulldozed for a 9-unit apartment. It turns out I had photographed the Spanish house a few years back. But more strangely, I realized that Mr. Hendry’s homes were not the soon-to-be-demolished ones on Victory I drove past a few days earlier. I had seen two others with ropes and signs up the street. At 14242, east of Tyrone, on the south side of Victory, was built in 1923, and is a unique looking structure with an arched center door entrance flanked by two symmetrically placed windows framed with decorative metal hoods and lattice work. Sentimental, pinkish, feminine, lovely: it is also on Death Row. 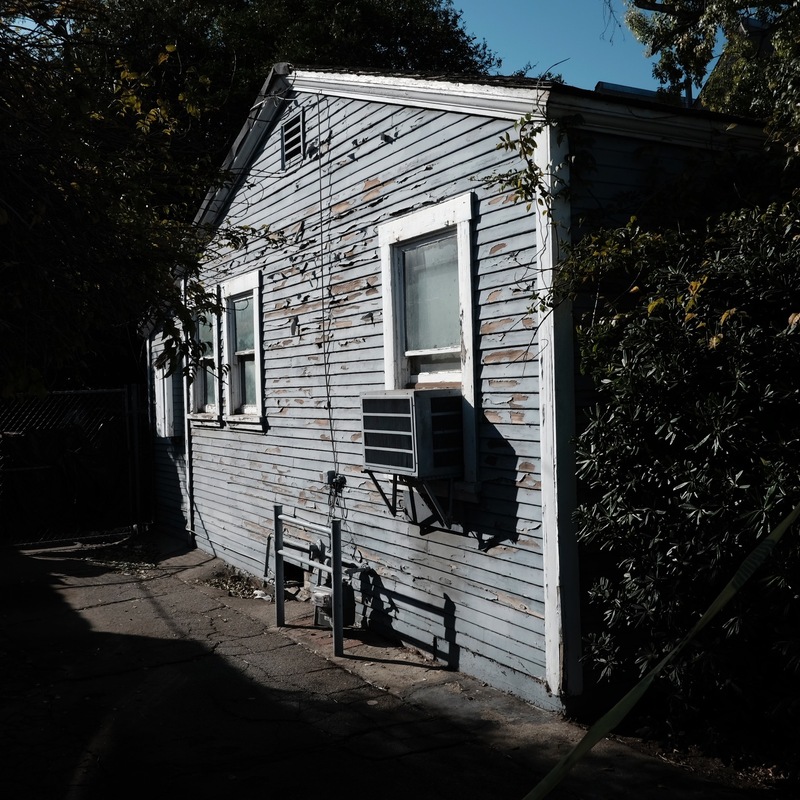 Next to the frilly lady is a plain blue and white frame house that looks like Dorothy Gale’s Kansas cottage. It shares the same fate as its neighbor. 92 years ago, Victory was a semi-rural street, narrow and flanked by pepper trees. It was a verdant and new settlement convenient to nearby government, post office, library, school and church. Streetcars made it possible to get to Hollywood or downtown. 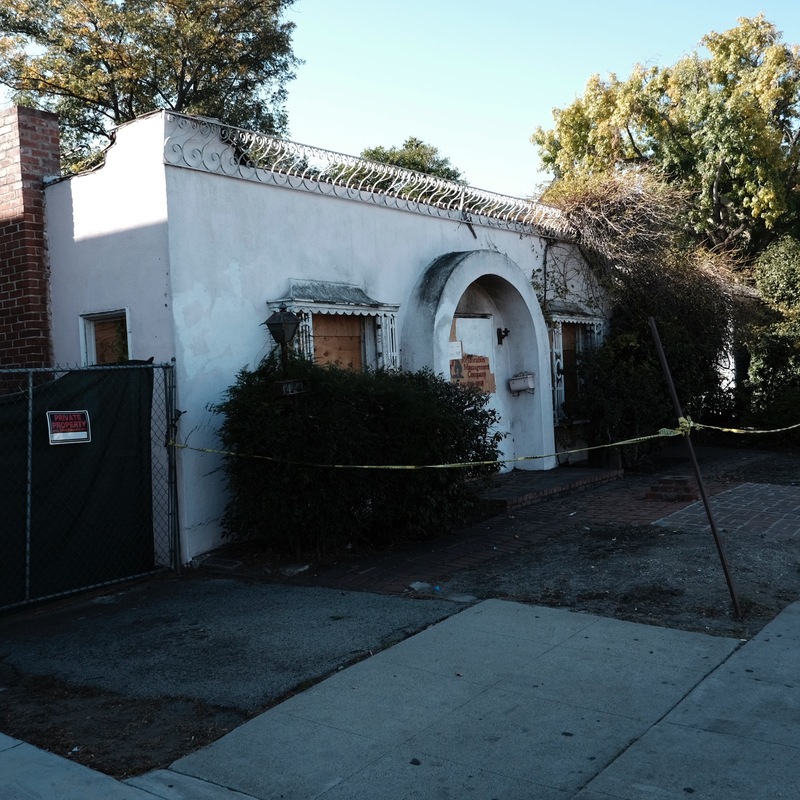 In 2015, Van Nuys, willfully ignorant and wantonly wasteful, pursuant of profit and devoid of imagination, will sweep away even more of its history so that ugliness and plasticity can triumph. We know what ISIS did to the ruins of Palmyra, Syria. And we rightly condemn it as the work of ignorant savages. But what are we doing to our own history by our own actions or inactions? 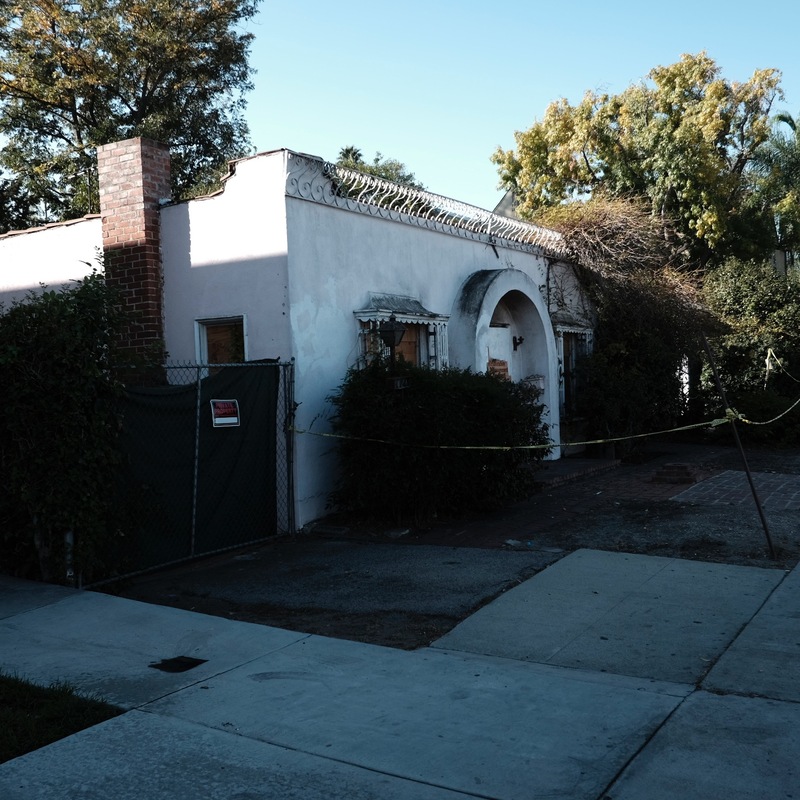 This is what happened to a house I spent my childhood in, over on Calvert St. off of Vesper; California Spanish Mission style with the tiled roof and all, torn down for the sake of an ugly-looking condo. It was part of a “matched set”, six of what they used to call apartment houses. We had to share backyard with the house directly in back of us(wasn’t a problem at all from what I recall) but we were able to have our own little front yard, driveway and garage. All six apartment houses dating from the 1930s possibly, and all torn down just like that over ten years ago. I’m so sad that my childhood home is no more and I can no longer drive by there to see it whenever I visit Van Nuys. 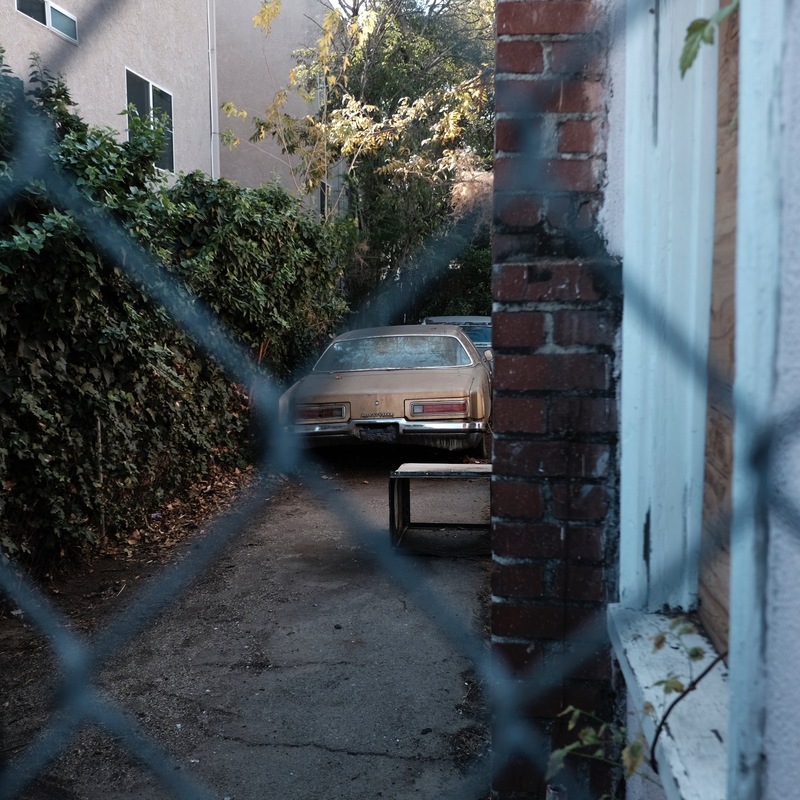 Andy (or may I call you “Here”)–Shoot some more along Victory–Victory is the less viewed major street in Van Nuys (we’re all going too fast–AND no one would walk it)–but it has interesting things for you to see. How many have seen the “Eiffel Tower of Van Nuys”, the “Eleanor Courtyard Building” 9the best adapted reuse in Van Nuys) or the others? I actually walked past and photographed the buildings you mentioned. 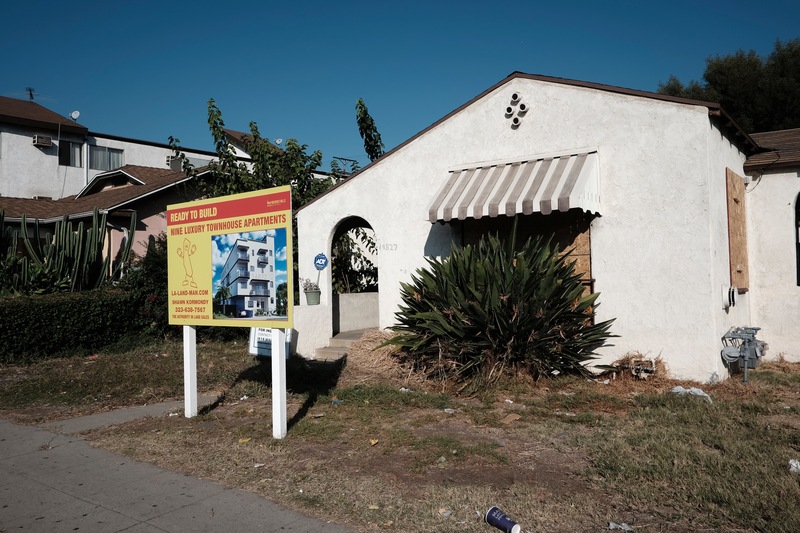 It’s just a shame when “matched pairs” of old Van Nuys houses from the l920’s and l930’s go down–just because they can be turned into a 9 unit condo. 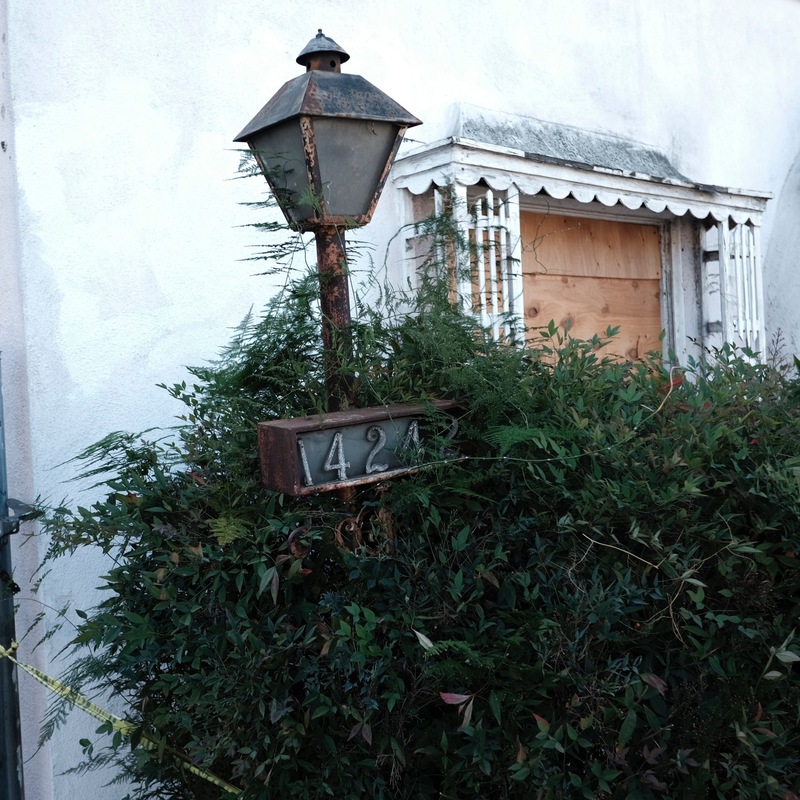 That’s the way Van Nuys was “sold”–back in l9ll–often 2 lots at a time–and so “matched pairs” of old houses are very important to save any old fabric for the town. Van Nuys has a HPO (historic preservation zone) but not for neat clusters of homes like these. 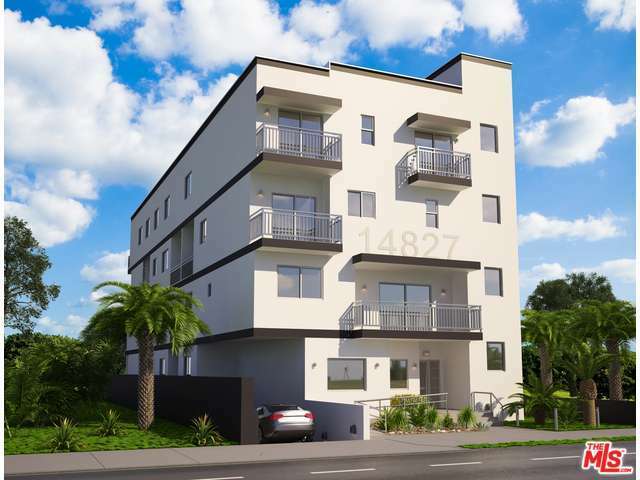 I sit on Van Nuys Neighborhood Council’s Planning and Land Use Committee–and all we see are more of these stacked up apartment complexes on the table. Disappoints me greatly–no sense of preservation in Van Nuys–and–would any of us live in one of these stacked up apartments or condos—unless we had to?